Feng Shui Inspirations | Get Inspired. Move Forward. 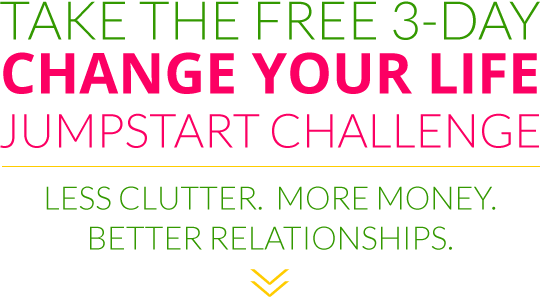 Are you ready to get rid of the clutter, make more money, and have better relationships? Sometimes, you just need a little guidance to help you get the traction you need to move forward. Following my easy and powerful recommendations, countless people have transformed their lives–and you can be one of them! Feng Shui is both an art and science of moving your stuff to change your life. Far from being some kind of hokey “woo woo” practice, Feng Shui is ultimately practical. It only makes sense that if your living space is cluttered, you are going to feel overwhelmed and blocked. And when you remove the blocks in your room, you literally and psychologically have more space in which to move. The key is being able to recognize what items in your space aren’t serving you, and knowing how to arrange things, so they support you and inspire you. My passion is helping you to release what you no longer need and to add elements you will absolutely love, so you feel uplifted by your surroundings, clear about what you want, and able to get motivated to make lasting changes. Get ready to gain deeper insights into how you can make changes in every area of your life, including your health, finances, work, and relationships. I can’t wait to help you experience the movement in your life that comes from simply moving your stuff. You will be amazed what a few adjustments in your space will do for you. This process starts by identifying what kinds of issues you want to work on in your life. Then, by analyzing your space, I can determine what configuration will help you the most. After going through your home or office thoroughly, I will write up a report full of easy suggestions you can implement. Afterward, I will be happy to answer any questions you have and support you in making changes. Are you ready to become empowered? It’s no accident that you’ve found this site. Deep down you know that it’s time to bust through the obstacles that are holding you back from the life you deserve to have. You only have one life, so start living it! Invest in yourself and become the person you were always meant to be. Sarah was a massage therapist who came to me wanting to attract more clients and make more money. When I assessed her space, I found that her name wasn’t even on the office directory! Once we corrected that oversight and made some changes in her office, she reported that her income doubled. Is a Feng Shui Consultation Right for You?